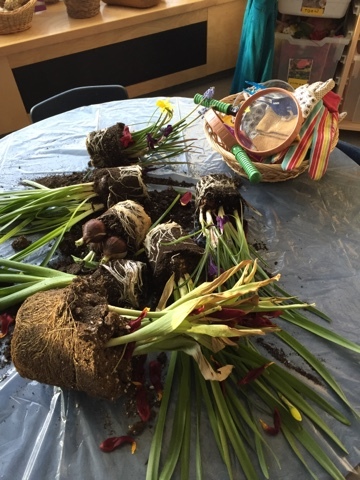 We recycled the potted spring flowers from our still life art into an exploration of bulbs and root systems today. 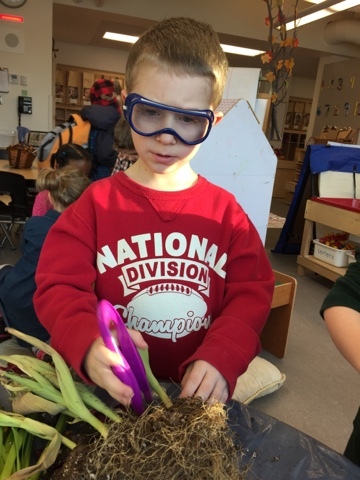 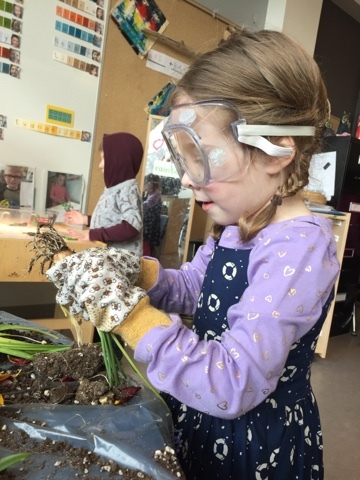 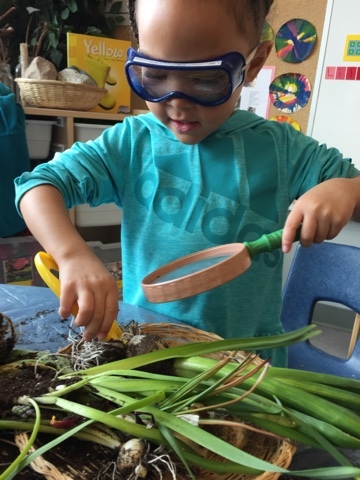 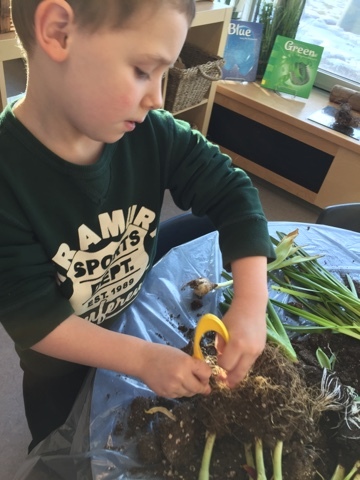 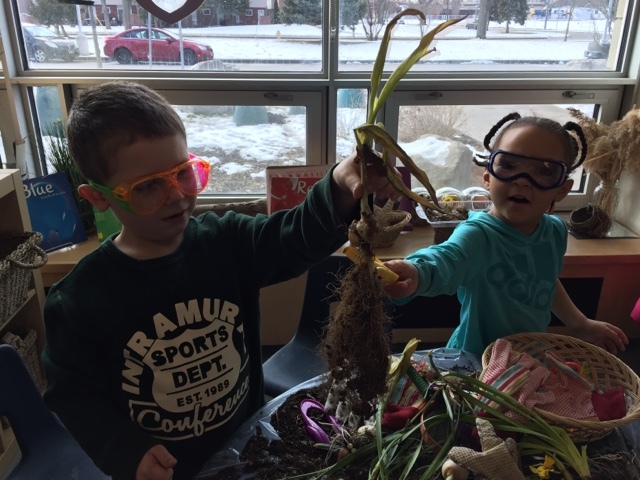 Children were invited to use tools like tweezers and magnifying glasses to gently untangle the roots and bulbs from the soil. 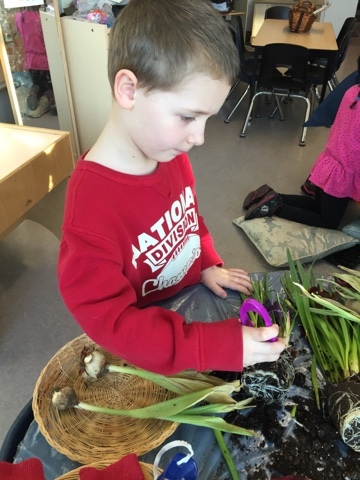 There was some interesting talk as children used specialized vocabulary to describe their process and observations and compared the bulbs to each other. 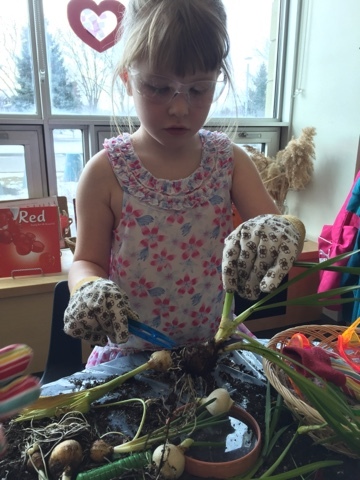 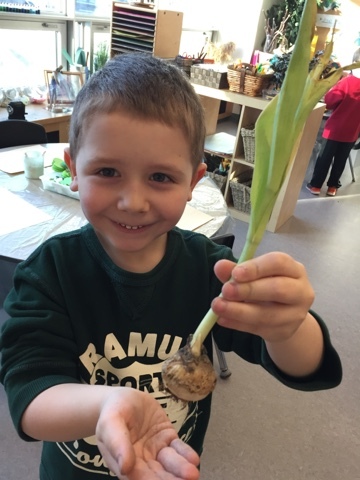 They noticed that different bulbs had various sizes, shapes and colours of bulbs and roots.